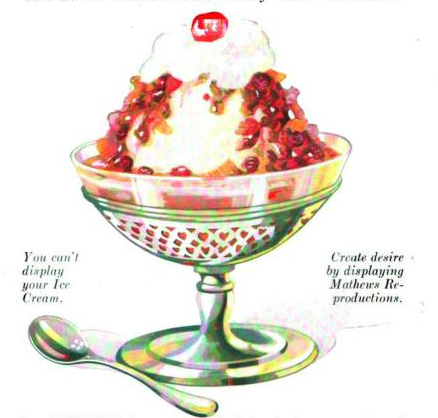 This is a free vintage advertisement illustration of a mixed berries sundae from an antique trade journal. This image is free to use in personal and commercial work without permission. Please link back to this site when sharing this image online.